Take one plastic container, put mangoes and muskmelon, cover with lid. Frozen for 3 to 4 hours. Blend frozen mango, muskmelon, sugar, strawberry crush well. Take serving glass, pour this mixture. Garnish with strawberry crush and tutti frutti. I love seasonal mangoes and smoothies are my favorite. Nicely written post. Thank you so much. 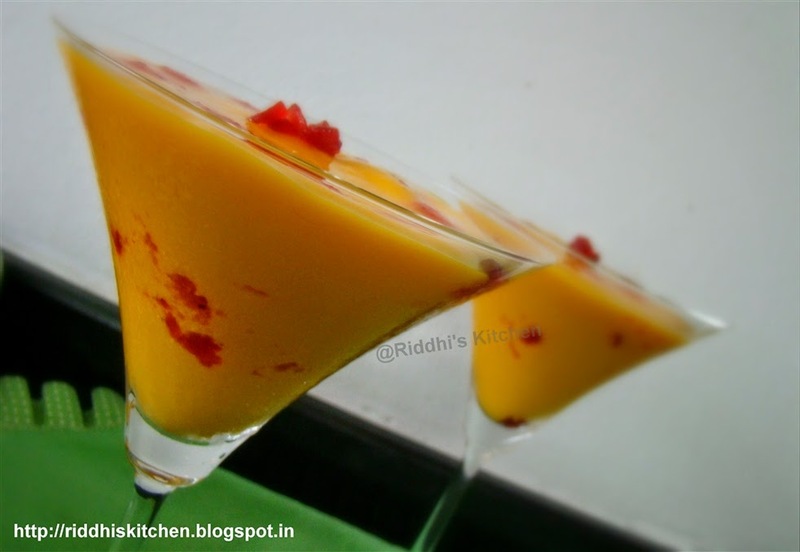 must try these seasonal fruits smoothie. you will like it. ભાષા ભદલીને વાંચી શકાય છે ! આ ફિચર પણ ગ્મ્યું !. મસ્ત બ્લોગ.. Many followers and readers requested me. That's why i have added Language Translate Feature. so everyone can read in their language. Thank you so much.